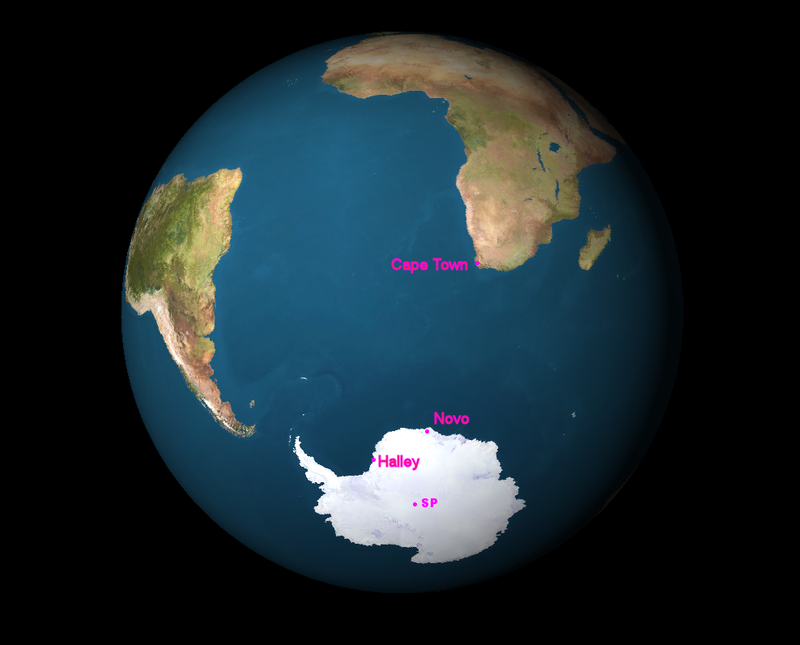 This morning, Sue left the comforts of Montana bound for the Novo base in Antarctica via Capetown South Africa. She is on assignment as medical support with a team hired to extract a damaged DC3-Turbo aircraft from the ice and snow. More information on the mission follows. You will find periodic updates about her adventures on this blog. Our communication is via satellite telephone contact only, once she reaches the expedition base. If you would like to follow the blog with email alerts, please click on the “follow” button on the bottom right of the page. She would prefer this not be shared on Facebook, but you can share it directly with her friends and fans via email. Weather report for Sunday at Novolazarevskaya Station, known as Novo base where Sue will be landing after a 5-6 hour flight over 4,000+ kilometers of ocean from South Africa: High 32 degrees F, ESE w 25 mph, chance of snow 20%. It’s summer in Antarctica December-Jan with 24 hours of daylight. 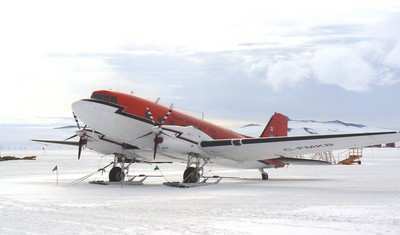 Kenn Borek Air DC3-T (Basler BT-67), C-GEAI, was conducting a tour operation off Holtanna Glacier, Antarctica, with 15 passengers aboard. During the take-off roll from the unprepared surface (position S71 55.3, E008 17.9) for the return leg to Novolazarevskaya, Antarctica, the aircraft contacted a snow drift and became airborne with insufficient speed to sustain flight. The aircraft stalled and contacted the surface with sufficient force to collapse the main landing gear. The aircraft came to rest on its belly sustaining substantial damage. Two passengers received minor injuries. The crew and passengers were accommodated in tents until a second Kenn Borek DC3-T arrived later in the day. This entry was posted in Antarctica Adventure Blog, Authors of the Flathead. Bookmark the permalink.